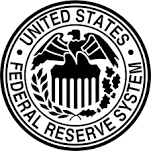 The big news for the week is the increasingly likelihood that the Federal Reserve Bank (Fed) the equivalent of the central bank in the United States (U.S.) will not raise interest rates in the short term. This was the result of the preceding weeks jobs report which saw just 38,000 jobs added to the economy in May, when 164,000 was expected. The Fed has indicated that 100,000 is what is needed just to keep pace with population growth. It is the smallest gain since September of 2010. The Fed remains concerned that exceptional low rates over the long term may be permitting asset bubbles to develop especially in the commercial real estate market. On Tuesday equity markets in Asia and Europe moved up, as a result of the likely decision by the U.S. Fed to delay a hike in interest rates. The United States Dollar (USD) dropped in valuation as a result. This put a upward pressure on energy and precious metals prices. 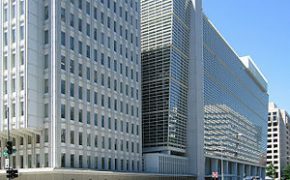 The World Bank responding to the trouble in emerging markets and the slow growth in the advanced economies predicts global growth at only 2.4% in 2016. This is down from 2.9% estimate made in January. The 2017 forecast has also been reduced from 3.1% to 2.8%. Anything below 3% is seen as somewhat recessionary. American diplomats including the Secretary of State are in China this week for the 8th round of the United States-China Strategic and Economic Dialogue. The backdrop is the Chinese land reclamation and militarization of the South China Sea. China wants to be recognized as a market economy and would like the anti-dumping steel tariffs to be removed. The Americans want China to continue liberalization of the financial markets as well as stopping further devaluations of the yuan. 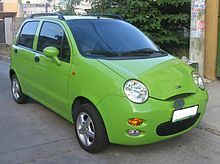 Chinese-made car, the Chery QQ a Chinese export. Foreign exchange reserves in China dropped by $28 billion USD in May, slipping to their lowest level since 2011. This is most likely the result of a stronger USD. It is now at $3.2 trillion USD. Exports in China dropped 4.1% in May on a yearly basis. Imports dipped slightly at 0.4%. It leaves China with a trade surplus of $50 billion USD for the month. The Chinese government still predicts 6.8% GDP growth for 2016, a figure this investment writer deems dubious. Japan reports economic growth of 1.9% in the first quarter after an upward revision. This is due to an increase in business investment and private consumption. At the same time, Japanese bond yield dropped to a record low of just 0.215%. The Reserve Bank of India keeps its key lending rate unchanged at 6.25%. Australia also keeps interest rates steady, at a current record low at 1.75%. This was the result of a positive GDP (Gross Domestic Product) report from the first quarter. The central bank earlier this year reduced rates by 25 basis points. Borrowing cost in Europe are now at unprecedented lows. 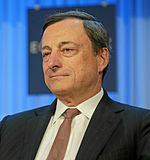 The European Central Bank (ECB) will begin to buy corporate bonds. The average yield on investment grade bonds are at 1%, a rate that is unsustainable for banks, insurance companies and pension/retirement plans. GDP growth in Europe for the first quarter of 2016 is 1.7%, the same as the last quarter of 2015. Growth is being propelled by an increase in consumer spending and more investment. Wolfgang Schäuble German Minister of Finance. Industrial orders in Germany dropped more than expected at 2% in April from the month before. In March that had risen 2.6%. This was due to weaker demand for German goods within the Euro-zone. German central bank growth forecasts for 2016 and 2017 have been reduced as a result. However, overall German industrial production still rose the same month. 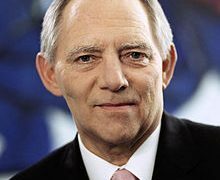 The German government is cautioning against more stimulus in fiscal and monetary policy. A better option now would be to reduce debt. There are also fears that a Brexit could lead to referendums in other European countries. Massive floods hit central France and Paris causing hundreds of million of Euros in damage. In an upset victory for the capital of Italy, Romans gave a 36.7% vote total in the mayoral race to the anti-establishment candidate from the Five Star Movement. Greece signed a major privatization deal for the Athens airport which meets the demands of international creditors. The country can now expect more bailout funds, which have been delayed by the slow pace of Greek austerity measures including more denationalization of assets. Pedro Pablo Kuczynski a former World Bank economist, wins by a small majority of votes in Peru’s presidential race. Brazil considers an emergency loan to three states who are involved in hosting the 2016 Olympics. Khalid A. Al-Falih, is the new Minister of Energy, Industry and Mineral Resources of Saudi Arabia and chairman of Saudi Aramco. Saudi Arabia has approved the National Transformation Plan. The program calls for a series of economic reforms that intends to increase non-oil income for the government and reduce overall public spending. More than 25 Asian and European owned supertankers are shipping crude oil from Iran. This will allow the Iranians to increase exports at a faster pace than expected, since sanctions were removed in January. More than one third of the output, is now being carried by foreign vessels. Crude prices had exceeded $51.00 a barrel earlier in the week. This was the result of a draw down in U.S. inventories (3.6 million barrels), attacks on the oil industry in Nigeria and increasingly strong demand in China. The IEA (International Energy Agency) predicts a re-balancing in oil markets after a slump in 2017 the oversupply in natural gas will continue throughout the decade. Global consumption of natural gas is predicted to expand by just 1.5% annually between 2015 to 2021. On Friday morning, American West Texas Intermediate (WTI) oil decreased -1.68% to $49.71 USD, prices are only $0.83 USD higher where they stood last week. International priced Brent is down by -1.56% at $51.14 USD. This is a $1.41 USD increase in valuation from the week before. The Investment Newsletter had 3 target fills to report this week, and 2 early stock market fills. @ 2014 The Day Trading Academy. All rights reserved. This work is based on SEC filings, interviews, corporate press releases, and extensive research done across investment articles, current events, and investment expertise. It may contain errors, and you shouldn’t make any financial decision based solely on what you read here. It’s your money and your responsibility. As with any investment, there is no guarantee against potential loss. Members should be aware that investment markets have inherent risks and there can be no guarantee of future profits. Likewise, past performance does not assure future results. This publication’s sole intended purpose is to provide investment-related information as well as education and opinions to subscribers and the recommendations and analysis presented to members is for the exclusive use of members.